This recipe is one that my husband request all the time, I came up with it a few summers ago and it makes a great lunch. Sometimes I add shrimp to it, but you could also make this into a dinner item and add grilled chicken or grilled fish. 1. Divide the lettuce and the kale into the containers (if making for lunch) or in big bowl if making for dinner. 2. Cook the pasta according to the directions in salted water, in the last few minutes add the broccoli and cook the rest of the time. (Maybe 2-3 minutes at the most). Drain ,rinse under cool water, and set to the side. 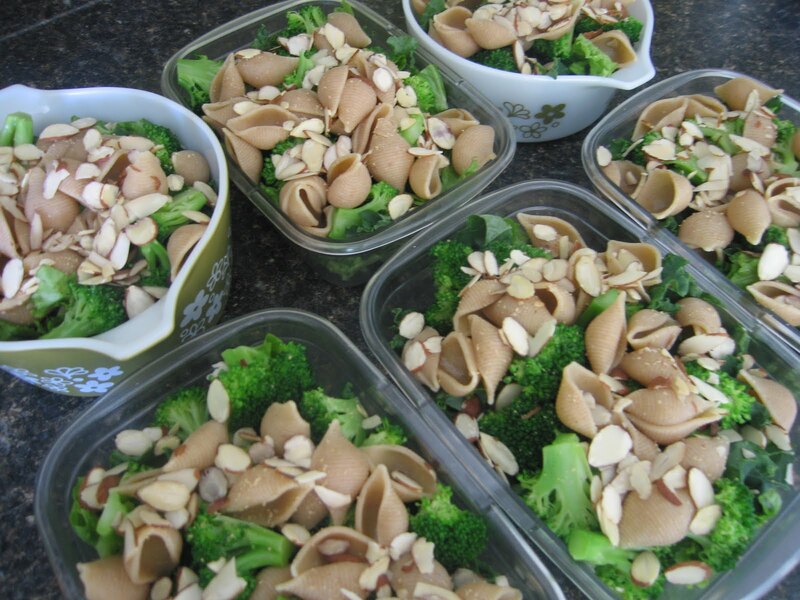 When cooled completely divide the pasta and the broccoli between the lunch containers or the big bowl. 3. Next divide the almonds between the containers, or add to the bowl. This would be the time to add the Parmesan if using maybe 1 T. per container or about 1/2 c. if making it in the big bowl for dinner or get together. 4. Salt and pepper each container or bowl just a little. 5. 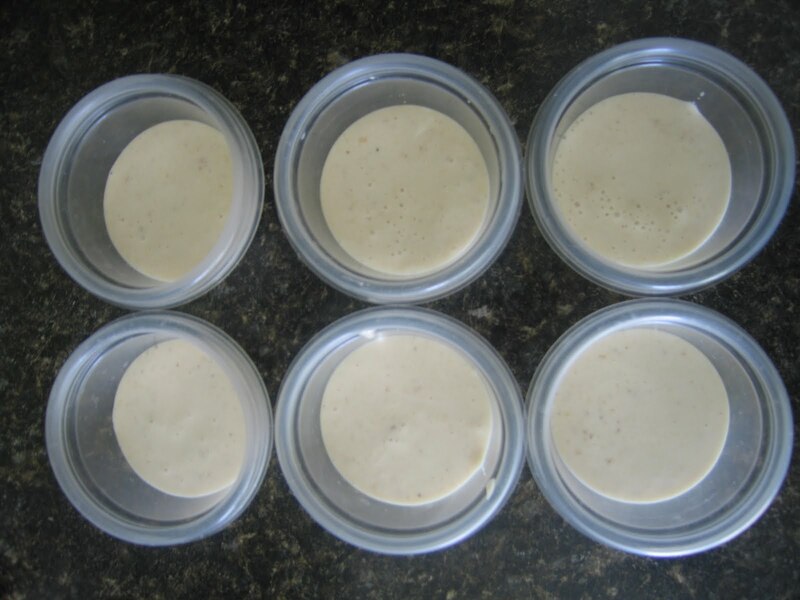 For the dressing: all of those ingredients go into the food processor or blender, blend until well mixed and then divide between six little containers. If making for dinner or get together I would wait and dress the salad just before you serve it. Enjoy! I make this at the beginning of the week and it’s good till Friday.